A delicate Speysider of peculiar springtime freshness, which contrasts with the bigger, fruitier, raisiny and often winey approach of neighbouring distilleries. Clean, chiselled and pure in style thanks to its maturation exclusively in first fill bourbon casks (as traditional of this unique distillery) but without the excess of vanilla that such a kind of cask can impart in case of a longer maturation, it has a flowery and sunny appeal with a malty fragrance, bananas, honey and lemon peel. 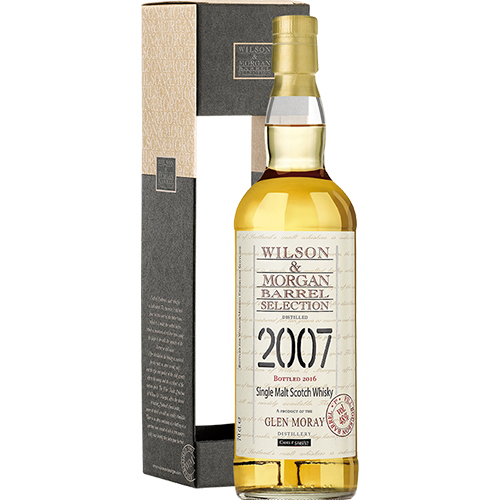 Its easy and smooth approach is backed for complexity and depth by a hint of waxy notes, and a very noticeable whisper of peat which complements the delicate sweetness. Definitely more ‘Old Highlands’ in style than strictly Speyside. Particularly enjoyable as aperitif, or in the warmer season.